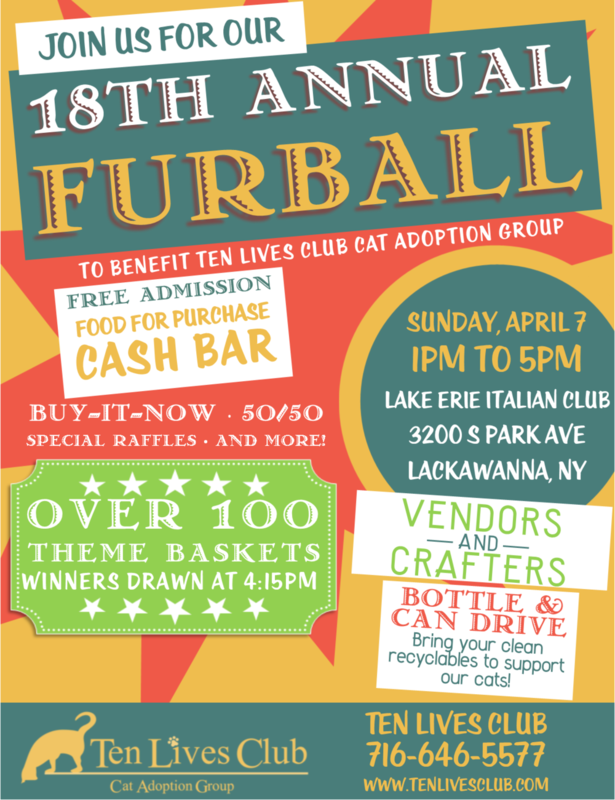 Join Ten Lives Club for our 18th Annual Furball! 100+ Theme Baskets, Vendors & Crafters, Special Raffles, Buy-it-Now, 50/50 and more! Food will be available for purchase, as well as a Cash Bar. We will be holding a bottle and can drive during this event, so please collect your clean recyclables and bring them with you!